Sr. Ann Carmen Barone, OSF, Lourdes University Vice President for Mission and Ministry, is pleased to announce the selected students who will travel to Assisi and Rome, Italy as part of the Association of Franciscan Colleges and Universities (AFCU) Student Pilgrimage Program. Lourdes seniors Hannah Hess and Rachel Moos will travel abroad December 27 for a 10-day pilgrimage. While there, Ms. Hess and Ms. Moos will experience the spirituality of the places where St. Francis and St. Clare lived and breathed while being afforded several opportunities for reflection. “Through the Franciscan student pilgrimage program, Hannah and Rachel can begin to realize that they share the same human experiences as Saints Francis and Clare. It also allows them to gain a better understanding of the Franciscan values that Lourdes embodies and to strengthen their relationship with God, their family, community and all of creation,” says Sr. Ann Carmen. Pursuing a Bachelor of Science in Nursing degree, Ms. Hess works as a Resident Assistant for Kingston Residence in Sylvania. 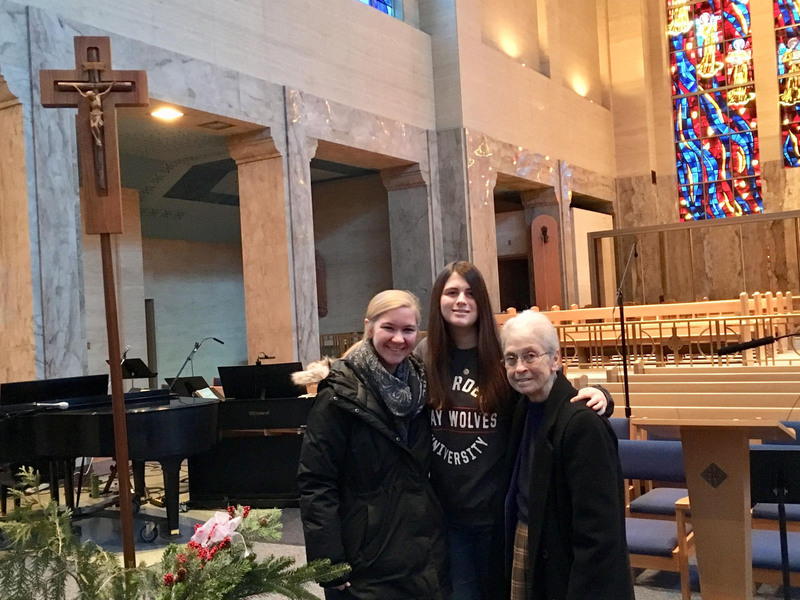 A Lourdes Tau Scholar and active member of the Campus Ministry team, Ms. Hess has participated in the Habitat for Humanity Alternative Spring Break Challenge and the Toledo Labre project which brings food, good cheer and hospitality to those in need. A member of the Lourdes University Chorale, she also serves as a cantor at Sunday Mass and University functions. What has brought her most joy in her role as a Tau Scholar is her work in planning Adoration opportunities for students. After graduation, Ms. Hess looks forward to providing nursing care to the older population. A senior at Lourdes, Ms. Moos is pursuing a Bachelor of Science in Nursing degree. As a Tau Scholar and member of the Campus Ministry Team, she has been instrumental in bringing good wishes and cheer to veterans and the homeless. The greeting card drives she has established allow Lourdes students to share words of encouragement and to let others know they are remembered and valued. When not studying or assisting Campus Ministry, Ms. Moos works as a Nursing Assistant in Cardiac Step Down at Springfield Regional Medical Center. Her goal after graduation is to work in a Neonatal Intensive Care Unit of a hospital or healthcare system. Founded in 1997, the mission of the Association of Franciscan Colleges and Universities is to provide a forum for dialog and to foster and facilitate collaboration among its members who are working to advance Catholic Franciscan higher education.